high ticket offers – should you post or share your prices before the call or not? LIVE: Susan Says! 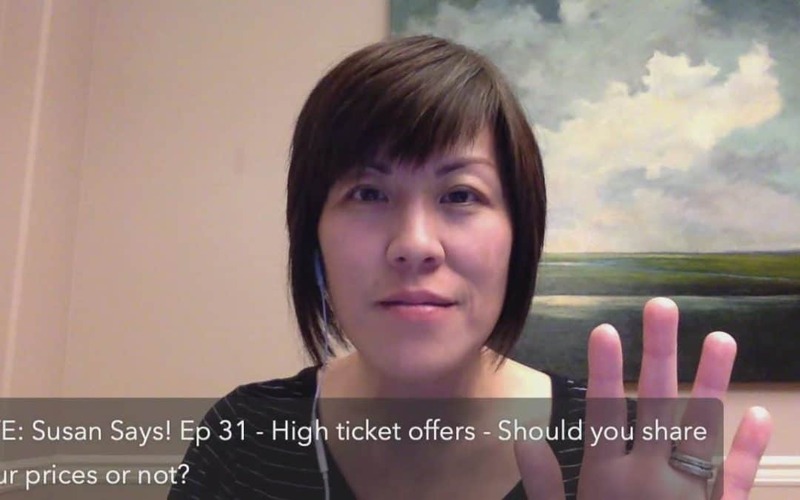 Ep.31 – high ticket offers – should you post or share your prices before the call or not? Pricing is part of your sales process, so ensuring you have the right strategy is critical to support how you engage with your potential customers. >>Which strategy is right for you?